John Shuttleworth, who was born in Strangeways in 1786, was a successful Manchester wholesale cotton manufacturer. John Shuttleworth was a supporter of parliamentary reform and was a member of a group of liberals that used to meet in the home of John Potter. Others in the group included John Edward Taylor, Archibald Prentice, Absalom Watkin, Joseph Brotherton, William Cowdray, Thomas Potter and Richard Potter. The group was strongly influenced by the ideas of Jeremy Bentham and Joseph Priestley and objected to a system that denied such important industrial cities such as Manchester, Leeds and Birmingham, representation in the House of Commons. All the men held Nonconformist religious views. John Shuttleworth was a Unitarian and was a supporter of Joseph Lancaster and the Nonconformist school that he opened in Manchester in 1813. Shuttleworth, like other members of the group, was an avocate of religious toleration. After the Peterloo Massacre, John Shuttleworth played an important role in the campaign to obtain an independent enquiry into Peterloo. 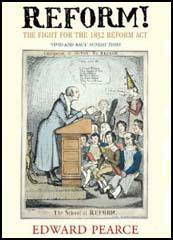 In December 1819, the radical Whig, H. G. Bennet presented a petition signed by 7,000 people requesting an enquiry but the government refused to take action. Shuttleworth also gave evidence at Thomas Redford and Hugh Birley court case in April 1822. The government responded to the events at St. Peter's Field by passing the Six Acts. Shuttleworth and other liberals were furious with the government and felt that Manchester needed a new paper to express their opposition to Lord Liverpool and his Tory government. John Shuttleworth and ten other businessmen involved in the textile industry raised £1,050 for the venture. It was decided to call the newspaper the Manchester Guardian. A prospectus was published which explained the aims and objectives of the proposed newspaper: "It will zealously enforce the principles of civil and religious Liberty, it will warmly advocate the cause of Reform; it will endeavour to assist in the diffusion of just principles of Political Economy." 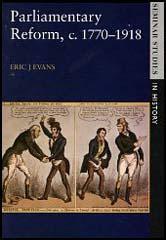 The first four-page edition, edited by John Edward Taylor, appeared on Saturday 5th May, 1821 and was soon selling a thousand copies a week. Although Taylor was successful in using the Manchester Guardian to gain more supporters for his political views, he had upset some old friends in the process. Archibald Prentice, Thomas Potter, Richard Potter and John Shuttleworth all accused him of moving to the right. They complained when the Manchester Guardian refused to support the campaign by John Hobhouse and Michael Sadler to reduce child labour in the textile industry. Taylor's view was "though child labour is evil, it is better than starvation". He also refused to support Richard Oastler and the Ten Hour Movement. Taylor argued that this proposed legislation would cause "the gradual destruction of the cotton industry". Taylor's views on parliamentary reform also became more conservative. John Edward Taylor now argued that "the qualification to vote ought to be low enough to put it fairly within the power of members of the labouring classes by careful, steady and preserving industry to possess themselves of it, yet not so low as to give anything like a preponderating influence to the mere populace. The right of representation is not an inherent or abstract right, but the mere creation of an advanced condition of society." John Shuttleworth and Archibald Prentice decided that they could no longer rely on the Manchester Guardian to represent their political views. purchased the Manchester Gazette and moved it to the left of the Manchester Guardian. In the early 1830s John Shuttleworth and Thomas Potter led the campaign for the parliamentary reform measures proposed by the Whig government. In Manchester 100,000 people signed a petition advocating reform. Shuttleworth proposed that the seats of rotten boroughs convicted of gross electoral corruption should be transferred to industrial towns. Boroughs such as Penryn and East Retford were targeted but Parliament refused to take action. As a result of the 1832 Reform Act Manchester had its first two Members of Parliament, Mark Philips and Charles Poulett Thomson. Two close friends of John Shuttleworth, Joseph Brotherton (Salford) and Richard Potter (Wigan) also became Members of Parliament in 1832. John Shuttleworth continued to be involved in politics and in was delighted when the government passed the Municipal Corporations Act in 1835. John Shuttleworth was one of the first aldermen to elected to the borough council and his friend, Thomas Potter, became Manchester's first mayor. John Shuttleworth retired in 1860 and died four years later on 26th April, 1864. (1) In March 1820, John Shuttleworth gave evidence at the trial of those accused of organising the meeting at St. Peter's Field. I witnessed several parties pass the Exchange, to go to St. Peter's Field. They were marching with considerable regularity, in the form of a procession. In consequence of the observations which had been made as to the number of sticks carried at previous meetings at Manchester, I determined to count, as accurately as I could, the proportion. (2) In April 1822, John Shuttleworth gave evidence at the Hugh Birley court case in Lancaster. I saw the line of constables drawn back. They left an open space of perhaps 30 or 40 yards in front of the Yeomanry troop. As soon as this place was cleared I heard Mr. Birley saw something and in a few moments after the Yeomanry proceeded towards the hustings. The first two or three files went off in order, but the remainder of the troop galloped after them in considerable confusion; the speed of the horses was increased as they passed through the open space, until they got to the compact part of the crowd, they assumed a circular appearance, and I saw them striking the people; I continued watching until they got up to the hustings, and then I left the ground. John Shuttleworth and John Edward Taylor could sell their cotton to men who could not buy it cheaper elsewhere. In like manner, Thomas and Richard Potter could sell their fustians, Joseph Brotherton and William Harvey their yarns, Baxter his ginghams and shirtings, and I my fine Glasgow muslins. And yet our position was uncomfortable. We were safe ourselves, but every day brought us report of wrong and outrage done to our humble fellow countrymen - wrong and outrage which we felt could not fully redress. We thought, in our own cheerful homes, of the poor men in prison for alleged political offences - the main offence being that they, like ourselves, were of opinion that our representative system was susceptible of amendment. The whole aspect of society was unfavourable. The rich seemed banded together to deny the possession of political rights; and the poor seemed to be banding themselves together in an implacable hatred to their employers, who were regarded as their oppressors.